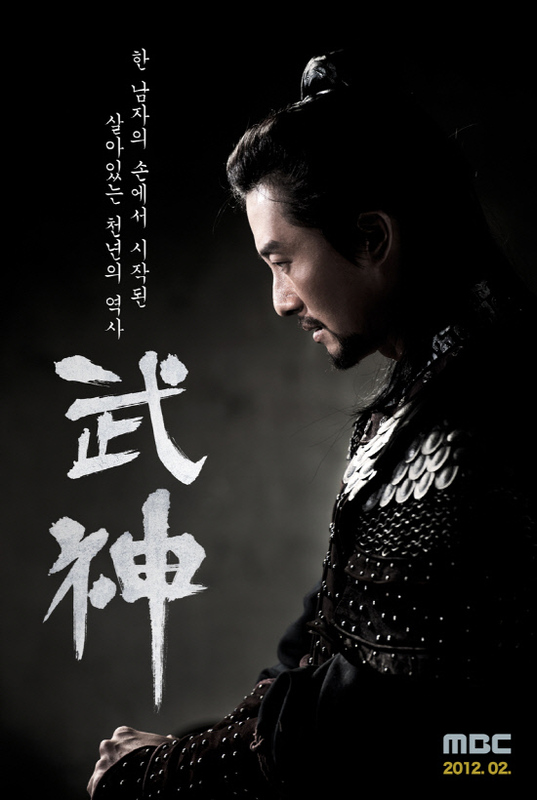 Set during the Goryeo Dynasty, Kim In-Joon (Kim Ju-Hyeok), a former slave, becomes the most powerful man in the country. He ruled the country for approximately 60 years instead of the emperor. Main character Kim In-Joon is based on a real historical figure. "God of War" takes over the MBC Sat. & Sun. 20:40 time slot previously occupied by "A Thousand Kisses" and followed by "Rascal Sons" on September 22, 2012. Can anyone tell me what the actor's name is who portrayed Minister Pak Seung-son, the one who framed Kim Yak-son? He played such a key person in those episodes relating to the downfall of Yak-son that I cannot understand why he is not on any casting lists of this drama. He' s been in several sageuks I've watched but I cannot remember which ones, so I can't find him anywhere? He's such a good actor (looks and art) and one of my favorites. Thanks for any info on him. Sylvia Casarez Jun 08 2018 9:23 am Omg this drama is such a hot moving drama. Kim Ju's acting as well as the rest of the cast...A++. As always the right actors for the right parts. So moving to know a lowly slave becoming free rose to become a hero. Watching historical dramas like this r such a joy to watch. Especially when based on true events. The struggles people went through to survive. The greed as always for power, money & status. This certainly is a "MUST WATCH" drama. Even though it's from 2012 it's still an awesome 56 ep. U cry u smile u cruse...u feel every emotion. Lxthals Oct 09 2017 1:32 am It was ok but it was more political than him being a god of war.I must admit though it has a strong storyline but a little overextended.But i still recommend watch at least first 20 episodes and the last 10. Jatto Muhammad Awwal May 18 2016 4:58 pm Congratulations to the Koreans for this blessings. All the actors are incredible and passionate.The movie has really added value to my thought about the dynamic nature of human being and the benefit in being humble. Best Regards. Elijah Apr 10 2016 6:22 am Incredible!!! I'm one of those people who dislikes season films, but this one is worth watching... Even though I'm a Nigerian, I watch it like I was born in Korea... Thumbs up to all the actors in the movie especially Kim joon, Yang baek, Song Yi, and of course beautiful Wol Ah/An Sim, and the others... One love y'all! 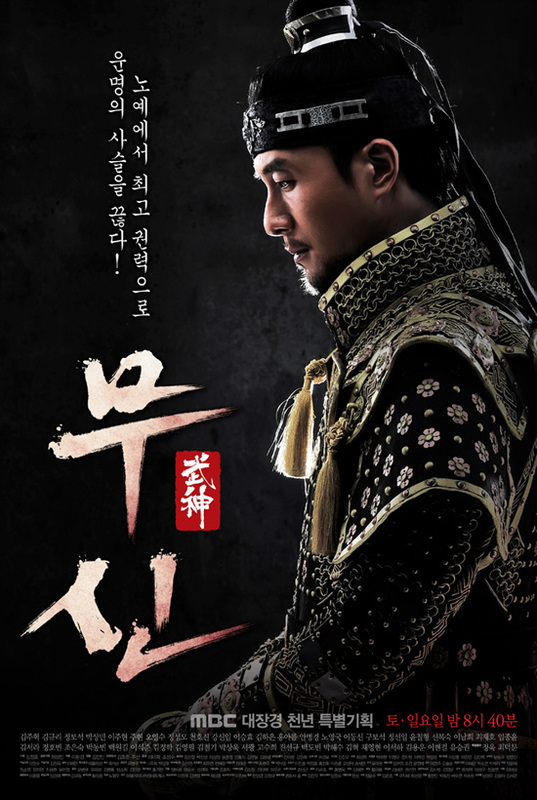 Marrion Mar 19 2016 8:27 pm I am into SK dramas of an historic nature, it gives an insight into their history. The same goes for China and Japan. I am in the process of watching Imperial Doctress and I have not had to fast forward, this too have 50 episodes. I am going to take your word and watch God of war after. Thanks for the comments. ABDUL SONGORO Jul 11 2015 6:48 am I'm very like the drama. but I want to know how many seasons the drama have? Regie Apr 25 2015 5:57 pm i think this is the best drama after Da Jang Geum and Jumong. Im currently streaming @ dramatv.co. The full series is available in this site. Lee Mar 08 2015 8:20 pm Pretty good. First 3-4 episodes seemed fairly slow, but then it really picked up and got interesting.. The writer seems to have a fairly good understanding of the political relationships and power struggles that were going on during that time. One totally baffling character is the Overlord's stepson, who is condemned to die by drowning by the new Overlord, for essentially no rationale reason. Having escaped a certain death, you would think he would not risk it again by coming back into Kangdo to see his mother. As I'm watching this, I'm repeatedly thinking WAFI ("what a foolish individual", except with expletives instead of "foolish individual"). Frankly, if he does get caught (I'm in the middle of watching it right now), I can't say that I would feel too sorry for the guy -- he had a pretty idea of the risks he was taking. zerah Dec 16 2014 10:32 am for sure this one is THE BEST KDRAMA! Congratulations from my heart! and I want to give a special CONGRATS to the screen player! Finally I could enjoy a decent and wonderful kdrama! Bravo per tutti! manna Nov 27 2014 5:19 am Congratulations to the entire team who worked on this wonderful drama! tncdel Oct 05 2013 4:36 pm Very well done production. Script-writing was high quality, as was the acting. My only minor complaint was that there was no real eye-candy among the main female stars. Kim Gyu-Ri and Hong Au-Reum are not even 2nd tier-level actresses looks-wise. And it was almost comical when the better-looking Kim Ha-Eun was criticized as not being as beautiful as Hong Au-Reum [with her slightly goofy-looking looks more suitable for comedy]. My personal DVD library contains hundreds of K-drama DVD sets. tiffany and co Apr 30 2013 9:55 am Its such as you learn my thoughts! You seem to grasp so much about this, like you wrote the guide in it or something. I believe that you can do with a few percent to pressure the message home a bit, but instead of that, this is magnificent blog. An excellent read. I will definitely be back. branewaiver Jan 17 2013 4:27 pm Truly good stuff. All of the acting, directing, writing, costumes, pace is brilliant. Congratulations. You've established a very high standard and I've learned a lot with respect to Korean culture, history, and politics by watching this (as well as other) series. Each time I watch a production I think it can't get better than this. God of War takes the cake so far. The Goryo(Koryo) came before the Joseon period. After the end of Koryo, Joseon was established by King Taejong and his compatriots. KING (from Thailand) Dec 16 2012 7:26 am I love GOD of WAR so much ^__^ I'm King from Thailand. now in Thailand shows this movie. I'm excied to see next Episode, everyday !!! make me freshen WoW ! ^0^ ! Michael Shokpeka Jul 18 2012 9:16 am This is the best drama I ever saw. I love the soundtrack, the story line...I love everything about the Drama. SgtMaj May 22 2012 1:35 am Great drama, how come the episodes are slow to be translated to english subtitles? I guess business ha...anyways great show. Bonbon Apr 24 2012 12:22 pm damn, Lee Song-Yi married Kim Yak-Sun and they had 2 children..
fzl Apr 22 2012 8:12 am stop watching at episode 17 when the heroine died(Wol A) and the culprit got away. If they wanted to make an action drama, don't start romantically and kill the heroine. Just start by people dying from the first episode. Rhu Apr 21 2012 6:06 pm Don't know if it will last for 50 episodes, but it started out great! Dark_Howler Mar 22 2012 6:16 pm This drama is great from my perspective. But I regret starting to watch this before it's half way though. It's very addicting for me, and now I'm crying tears of firecrackers because I hate waiting for new releases. lisbeth Mar 20 2012 12:44 am i love the soundtrack.. Inoo.. sing by Kyuhyun Super Junior..
siar Feb 11 2012 7:27 pm wow..looks like another amazing drama from MBC Korea..